The most efficient filter solution depends on your specific process requirements. Creating the ideal filter system for your ventilation units is decisively influenced by the necessary degree of air purity. For this reason, you can enjoy permanent savings if you align your filter solution to your industrial applications as well as to local particulate matter pollution. 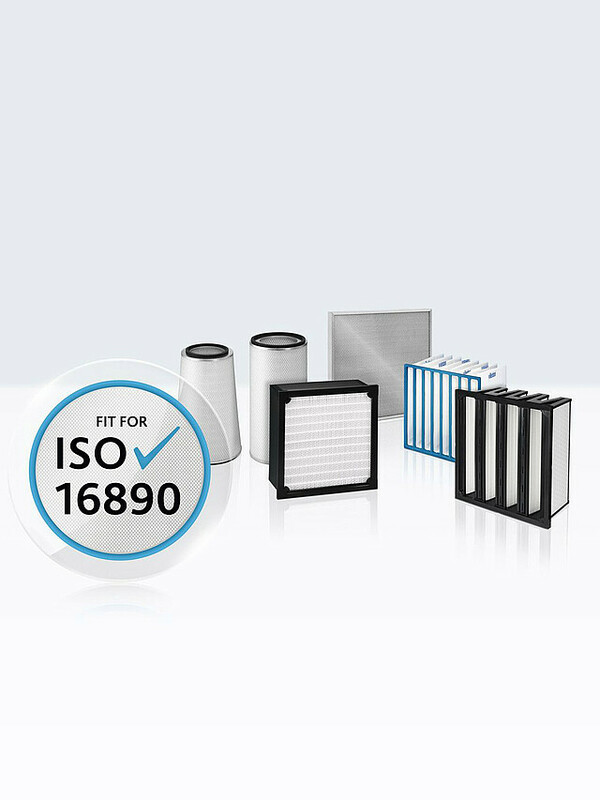 According to new ISO standard filters are divided into four groups. A prerequisite for each group is that a filter captures at least 50 % of the appropriate particle size range. If a filter, for example, captures more than 50 % of PM1 particles, it will be grouped as an ISO ePM1 filter. The respective efficiency is then reported, rounded in 5 % increments.